First, is this not the most colorful salad you have ever seen? It is almost too beautiful to eat. Almost. 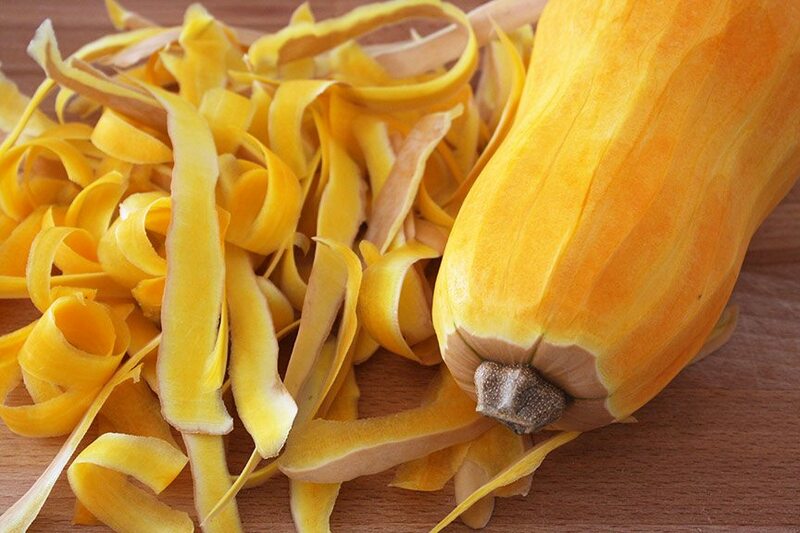 Behold the next installment of my latest obsession, the lovely butternut squash. I’ve roasted, baked, sauteed, marinated and even added it to dark chocolate brownies. All good decisions. This salad tops them all. It’s voluptuous, addictive and blunt. Kind of like that blonde you dated in college, only this salad won’t dump you and set your car on fire. This salad is in it for the long haul. 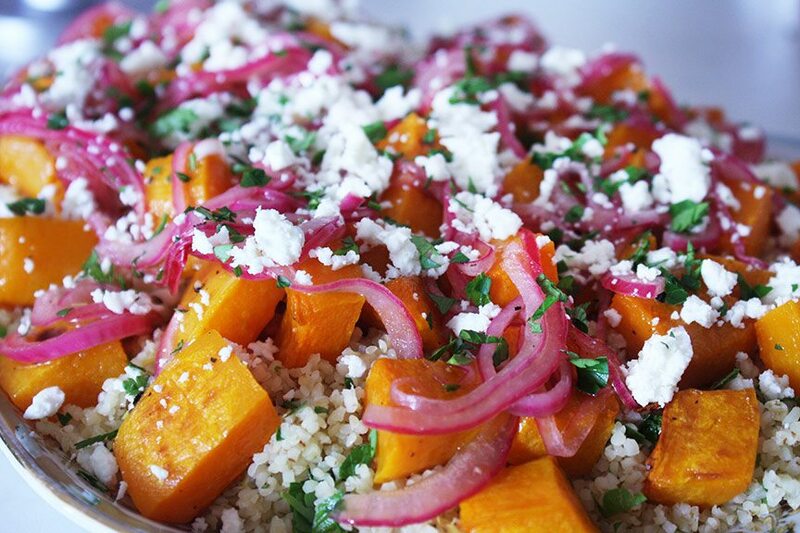 Hearty and filling, yet able to be legitimately placed under the healthy column, the Butternut Squash, Bulghur and Feta salad will cover those pesky resolutions and keep you company long after they’re gone. 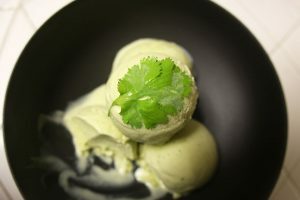 We lay down a bed of fluffy bulghur flavored with lemon and fresh parsley. You may recognize bulghur from such dishes as tabbouleh. 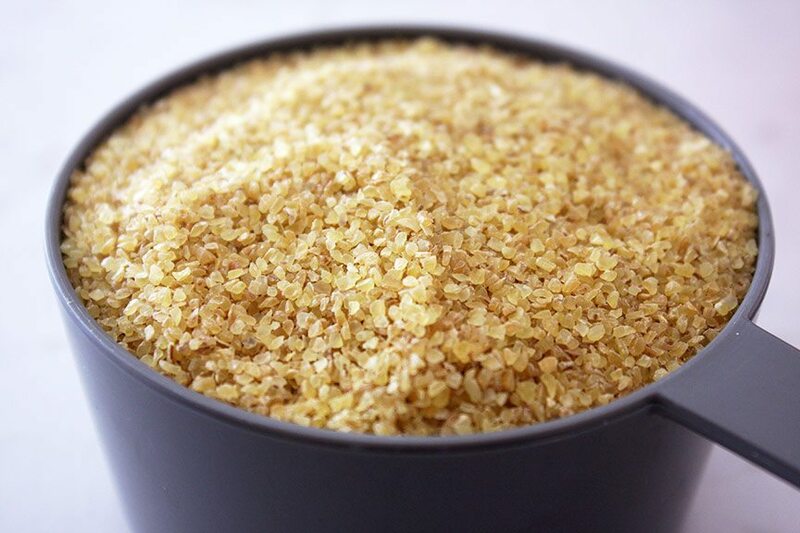 It is considered a whole grain and is common in Middle Eastern and Mediterranean cuisine. Fun fact: bulghur is actually a Turkish word. If you haven’t had the pleasure, it’s delicious. Like meaty cous cous. 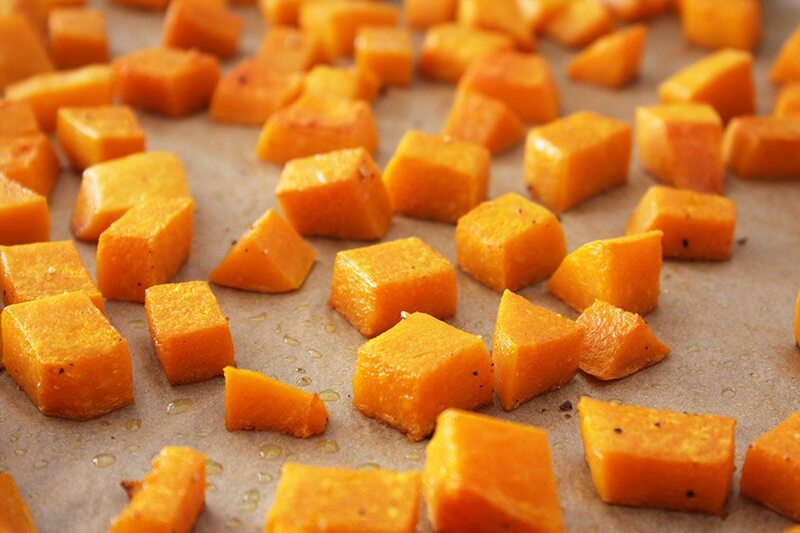 Next, we add a thick layer of cubed and roasted butternut squash with a tinge of caramelization. 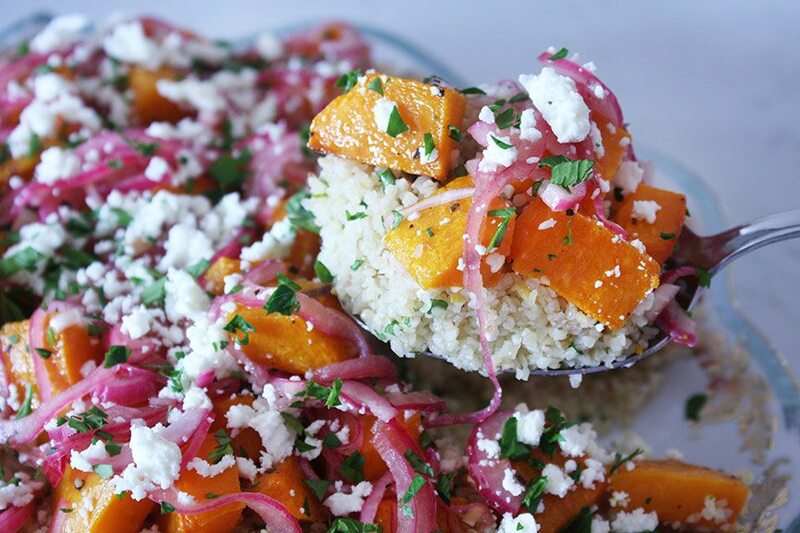 Then we drizzle a quick pickled red onion dressing over the squash and bulghur. You know that bulghur soaks up that dressing, right? Finally, a generous blanket of feta and a sprinkling of more parsley. Flavors are melding. My head is spinning. I think I might need to lie down. Cold or hot. Temperature makes no difference. This salad is close to perfection and gets even better with age on the second day (if it lasts that long). If your looking for a way to shake up your salads (or make sticking to those resolutions a little tastier), you won’t regret digging into this one. P.S. This is my 150th post here on Nomad with Cookies, which I can’t even believe. A big, huge, sloppy thank you to all of you for continuing to read about my endless hunger, peculiar obsessions and alternate universe. If you haven’t checked out the Facebook page yet, head on over and give us a like. For step by step photos of this recipe and how to cut up a butternut squash, check out the Facebook page. Preheat oven to 425F (220C). 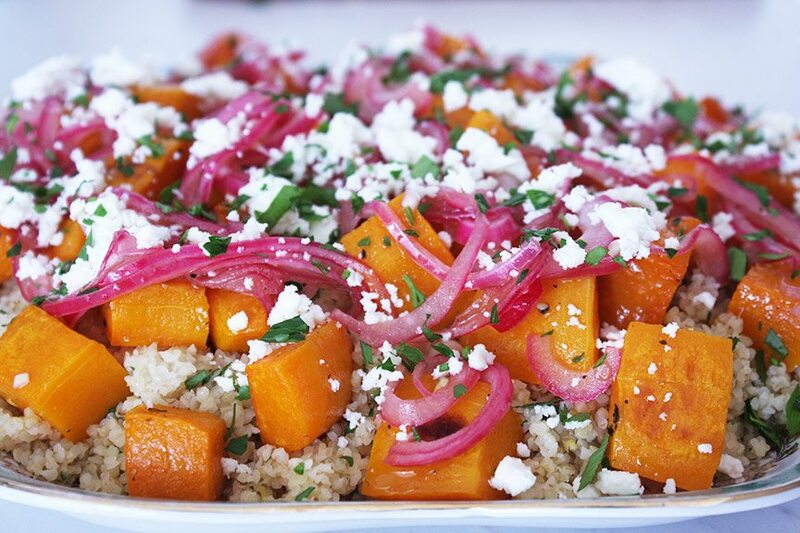 Place butternut squash on a parchment-lined baking sheet. Sprinkle with salt and pepper, then toss with 1 tbsp extra virgin olive oil until all pieces are evenly coated. Spread out the squash in an even layer so that none of the pieces are too crowded. 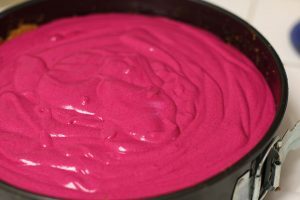 Bake for approximately 20m until squash is tender. Remove from oven and set aside. 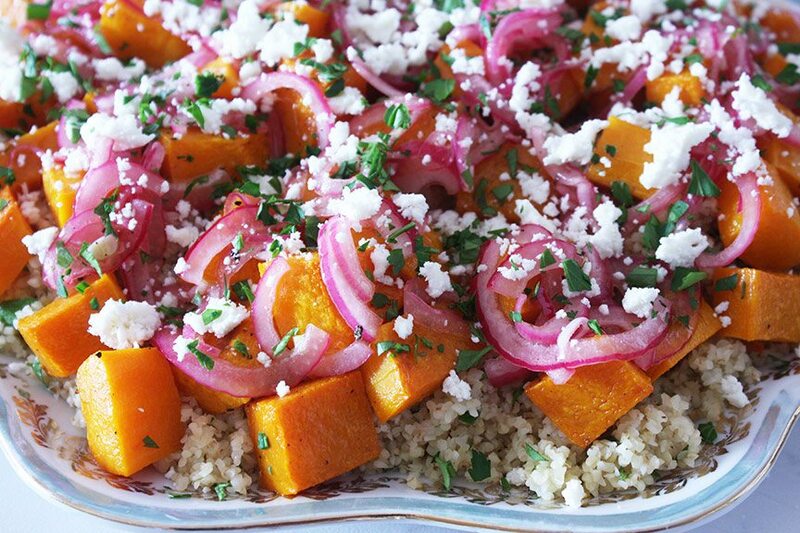 While the squash roasts, prepare the dressing. 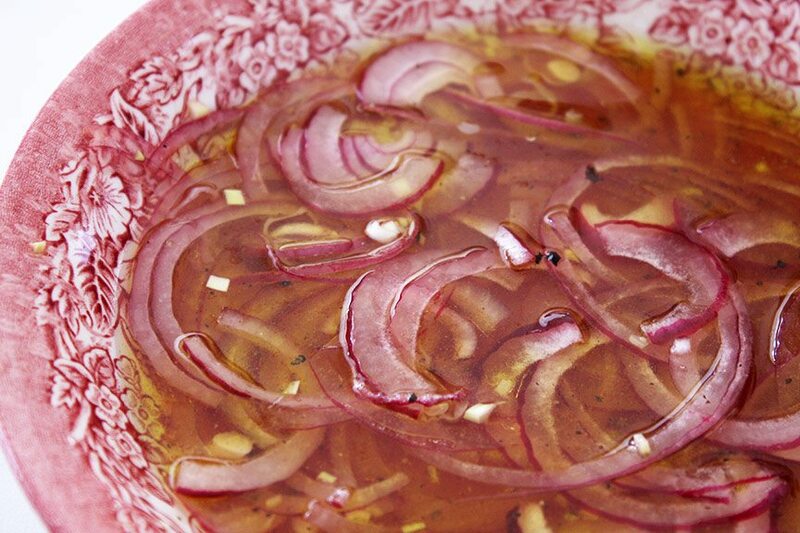 In a small bowl, combine the onion, red wine vinegar, 1/4 cup extra virgin olive oil, 1/4 tsp salt and 1/8 tsp black pepper. Stir to combine. Let rest for at least 30 minutes until the onions become soft and “pickled”. In a small sauce pot, combine bulghur, water, lemon zest and 3/4 tsp salt. Bring to a simmer and let cook for about 5-8 minutes until the water has all been absorbed. Flake the bulghur with a fork so that it doesn’t clump. Stir in 2 tbsp parsley, lemon juice and 1 tbsp extra virgin olive oil. This salad is beautiful assembled in layers, but it can also be tossed together so that all the ingredients are evenly distributed. 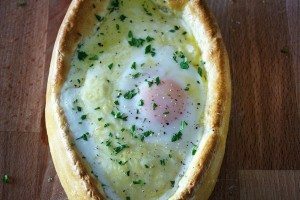 Add the bulghur to your serving dish or bowl. Top with butternut squash. Drizzle the pickled onion dressing over the squash. Sprinkle the feta and remaining parsley over the salad. Serve hot or cold. If there are leftovers, which I highly doubt there will be, this salad is quite nice after a couple days in the fridge as well.